Use this interative website to explore what defines a shape as three dimesional and what polyhedras, prisms, and pyramids are. 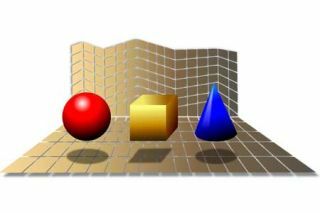 Once you have explored what makes a shape 3D, explore polyhedras with a description alongside pictures that explain them. Then click prisms to get an up close look at different prisms as well as the nets that create those prisms. When finished with prisms, click pyramids to explore the different pyramids and their nets. You will also explore what a face, edge, and vertice of a shape is and how many of those each given shape contains.